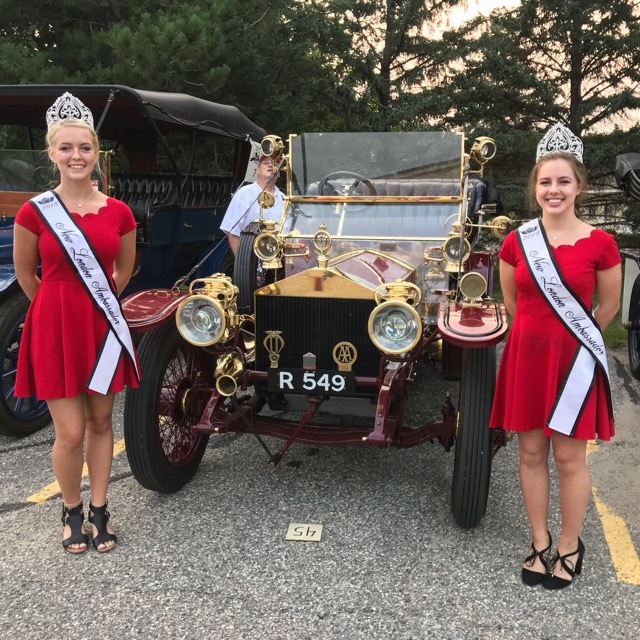 Model T Ford Forum: FJ - Who is going to the 32nd Annual New London to New Brighton Antique Car Run ? 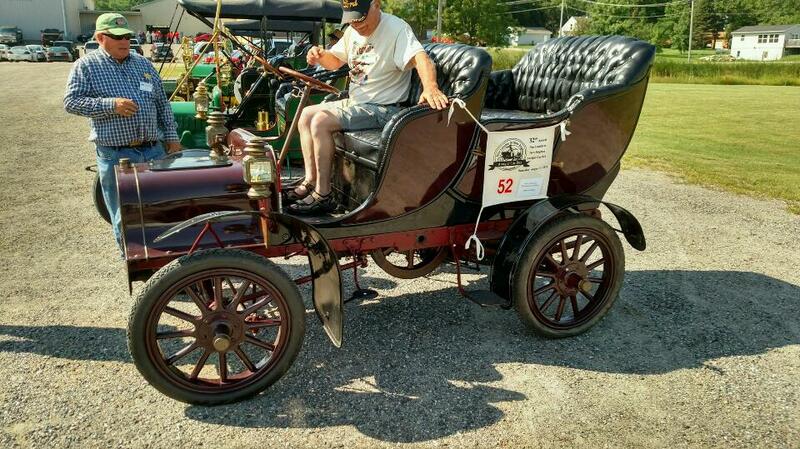 FJ - Who is going to the 32nd Annual New London to New Brighton Antique Car Run ? 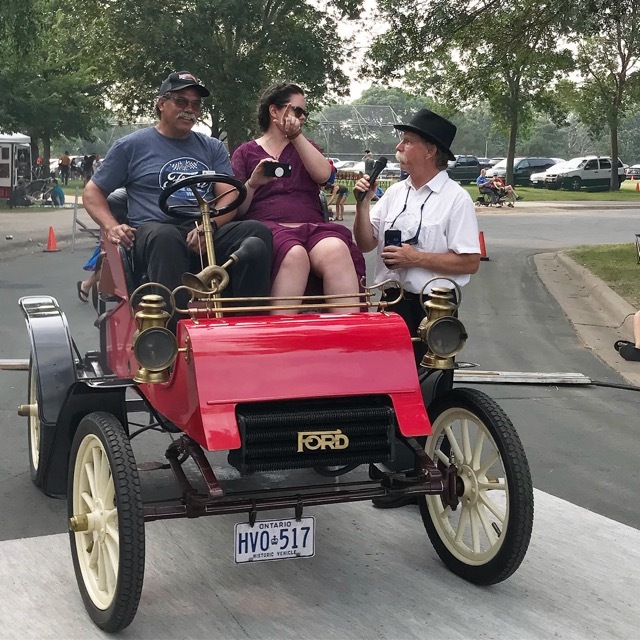 Model T Ford Forum: Forum 2018: FJ - Who is going to the 32nd Annual New London to New Brighton Antique Car Run ? Folks I know are going this year - I will be close in Nebraska so I am thinking about heading up. Who is going to attend & what are you driving ? I will be there with Rob Heyen and Dean Yoder. You are bringing two cars ? Peter McI, You have GOT to get a picture of your Cadillac K with the (hopefully) four Ford model Ks just for kicks and giggles! 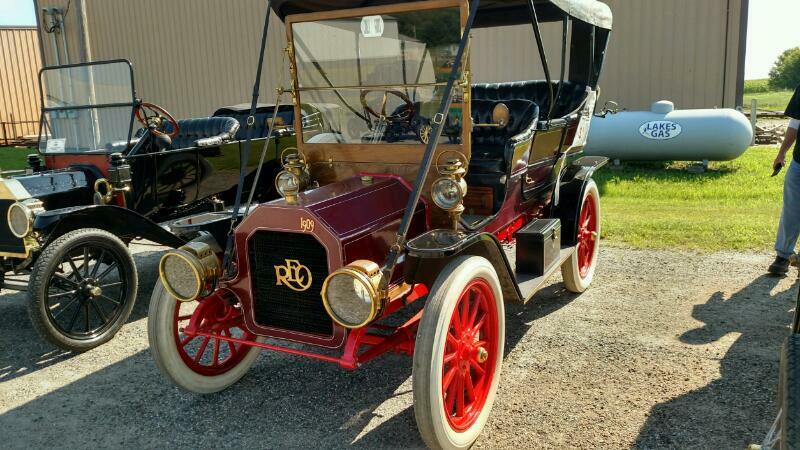 Rob & I will beheading north with TWO ford K�s tomorrow. 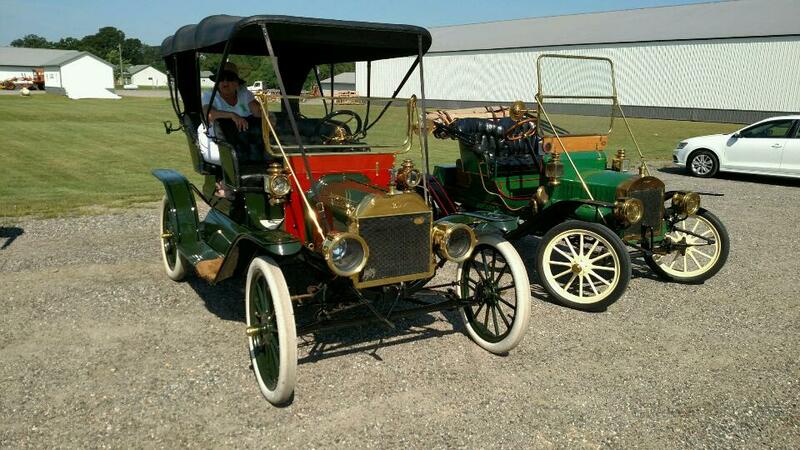 Kim and I are taking our 1906 Cadillac M.
I'll be there. Taking 1912 Maxwell. 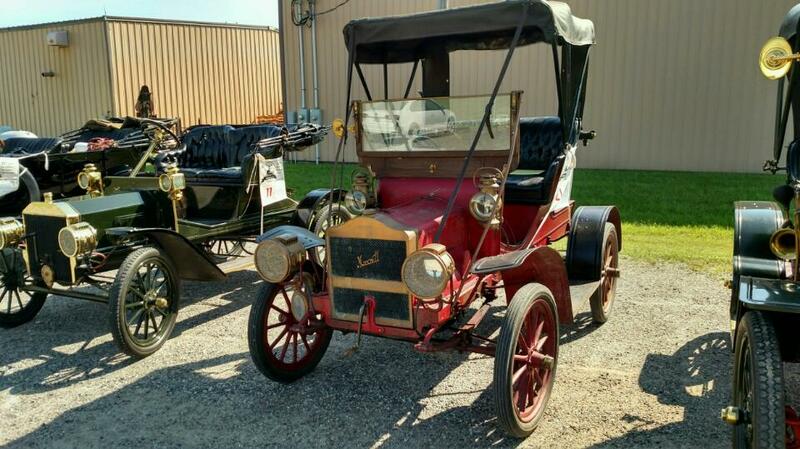 1907 Franklin Model G, see you there! I hope someone takes many pictures. Guess I will probably make it happen somehow. If so - I will be streaming live videos & images. Will Tom from Odyssey Restorations be bringing a Franklin ? Do all of the cars listed above qualify? FJ, Not this year but there will be two other cross engine Franklins there. 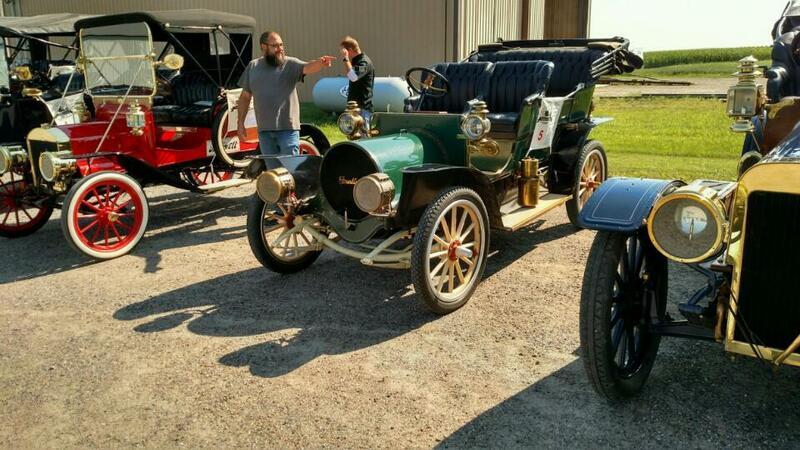 Rod, yes all the cars in your description are eligible to participate in the Grand run on Saturday, we have many Model T's and other makes come for three days of pre-tours. 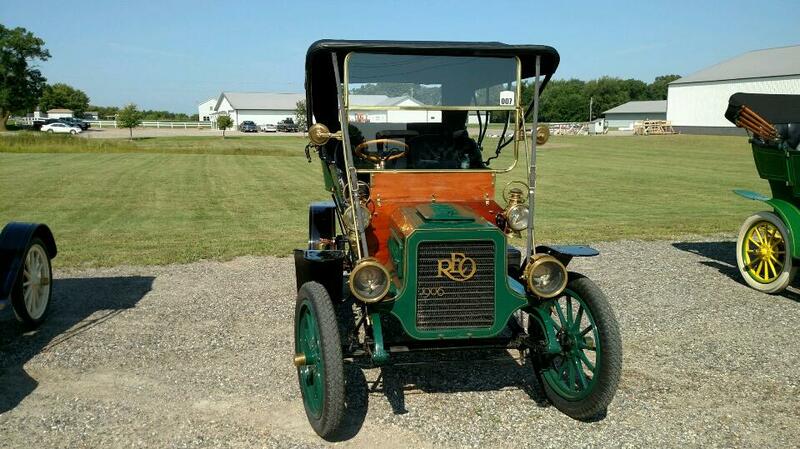 How does a Model T fit the eligibility? 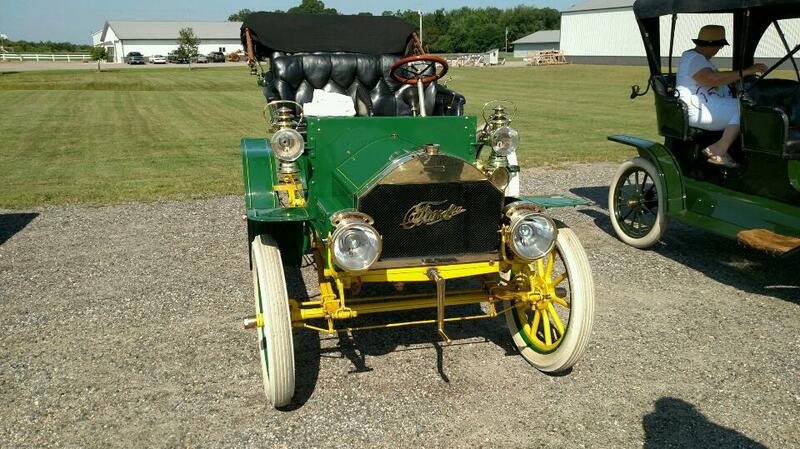 The first Model T year was 1909 and all had four cylinders. 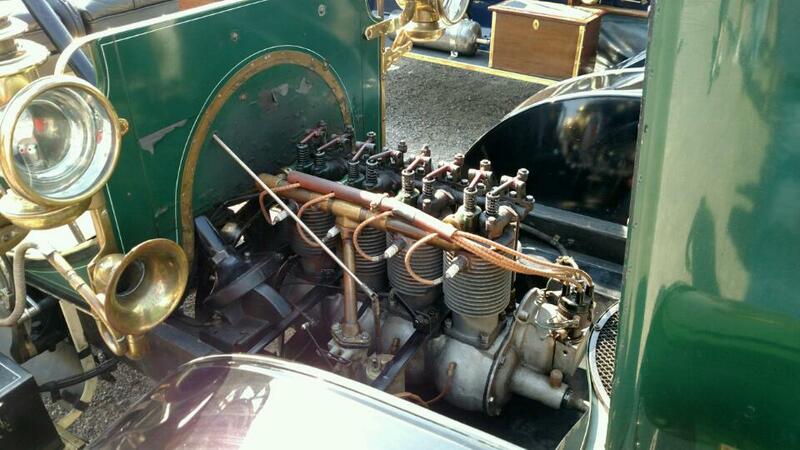 There are many models listed above that are after 1908 and with more than two cylinders. Have the rules changed from those specified above? What is Saturday's route? And whet is the end point? The kid wants to stop out on Saturday. I think he wants us to take the T.
They roll into Long Lake Regional Park in New Brighton starting around 3:00 pm. There are a lot of activities going on and food and beer. If you drive your Model T car to the park, there is an area reserved where you can park and display it. 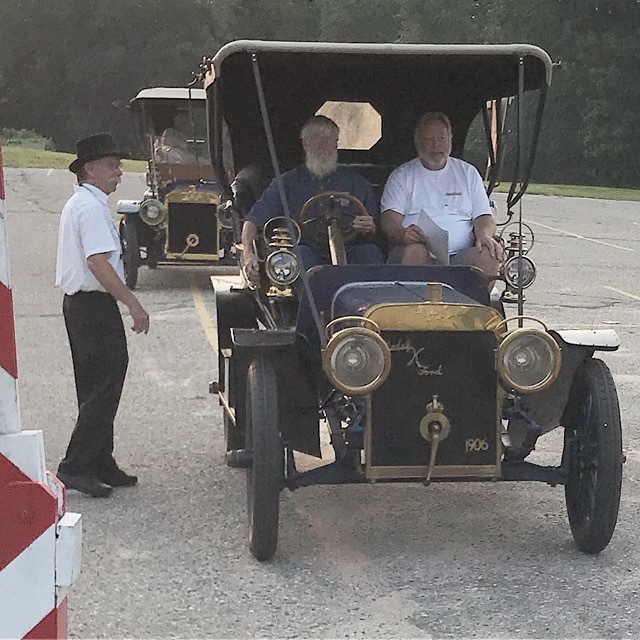 There's usually a group from the Model A Ford Club and various other antique autos. 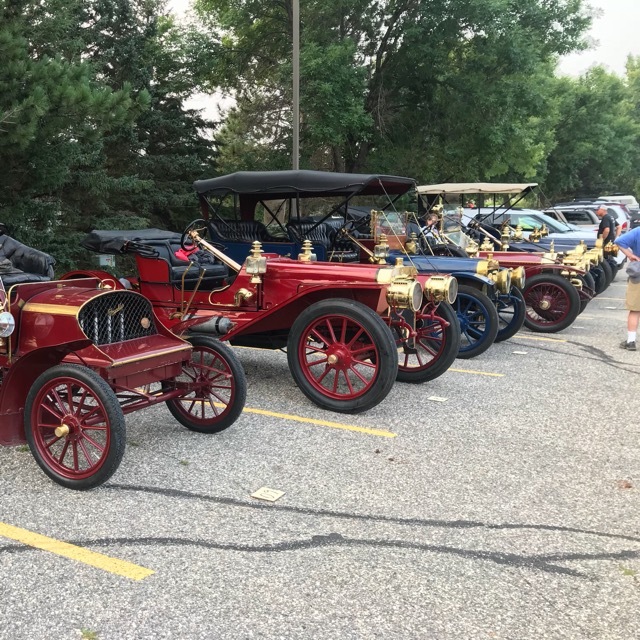 The lunch stop in Buffalo is another good place to see the cars in one place because that's where they all catch up to each other and they don't leave until 1:00 pm. Rod, there no models listed above that don't qualify. Everything after 1908 has to have 1 or cylinders or steam. All are good to go. 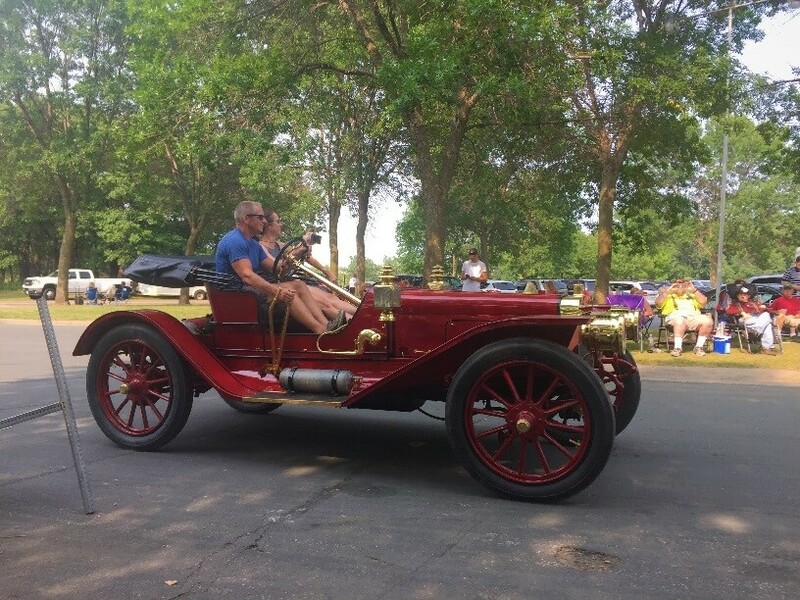 Rod, short answer is no Model T's qualify for the Grand run on Saturday. 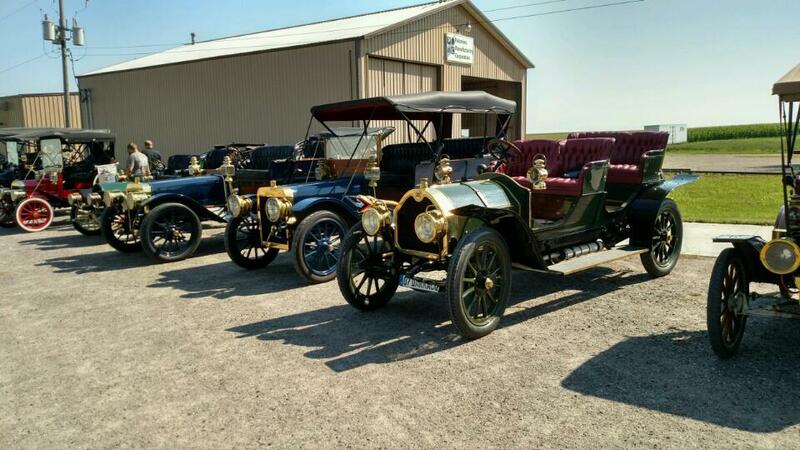 Model T's along with other makes up to 1915 are welcome to participate in the Pre-Tours held on Wend, Thur and Fri and many do. I�ll be there with my �08 Maxwell. Andy Loso, one of our forum members, will be my guest for the tour on Wednesday. I�m trying to help him get stung with the �old� car bug too. I believe we have 62 cars signed up for the run and another eight for pre tours only. 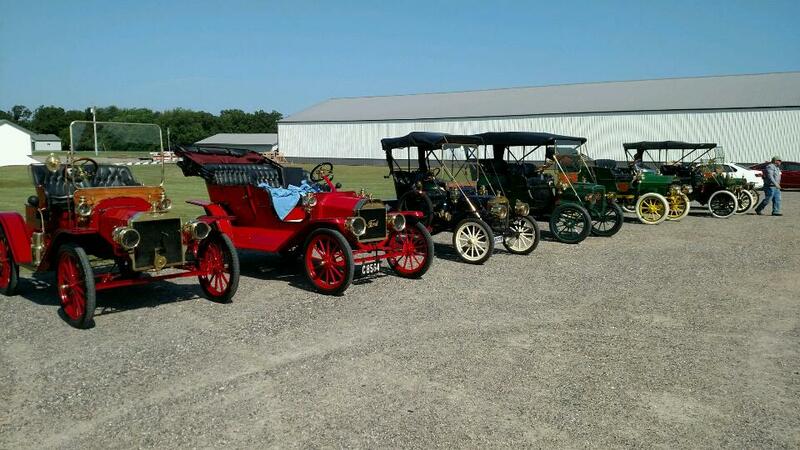 To my knowledge, there is no other event in the nation that brings together this many pre-T, brass era automobiles for four days of touring. It�s an amazing annual event that I�m proud to support. Bunch to say the least! I am in Sioux Falls, SD. Working all day on the trailer - gonna head over to New London tomorrow. It'll be fun to meet. Let me know when you're closer. See you soon!